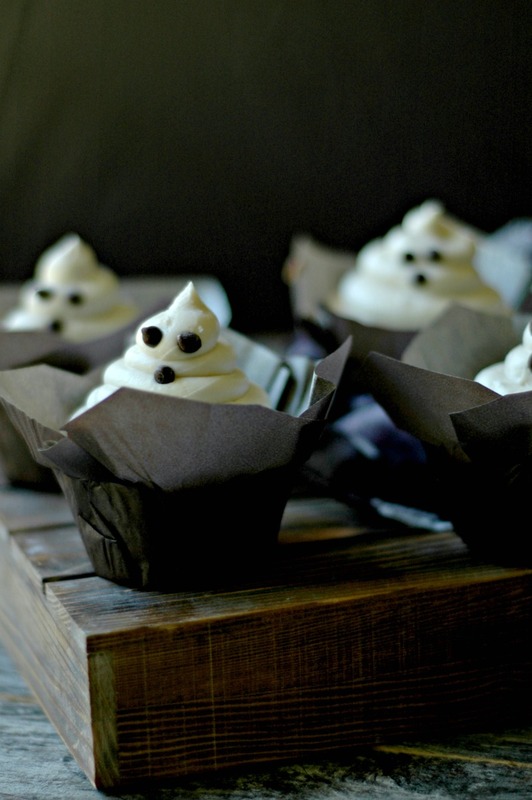 These gluten free Halloween cupcakes will be the hit of Halloween night! 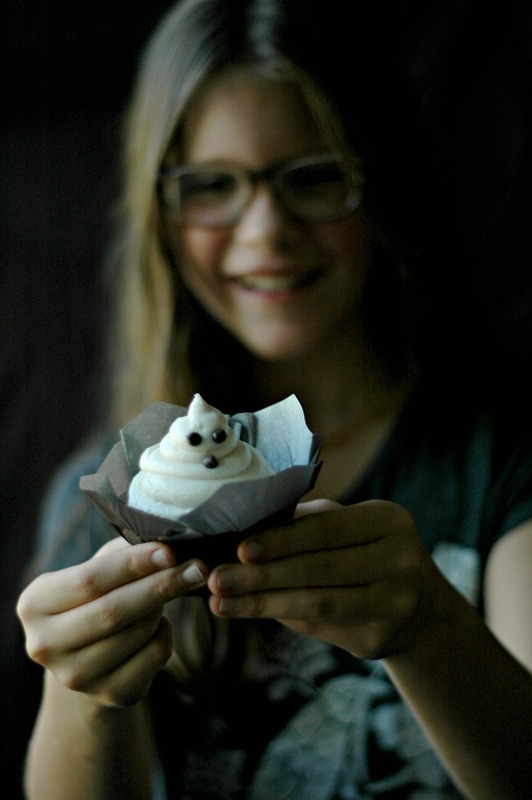 Make them ghost cupcake treats or other Halloween characters with these fun ideas! 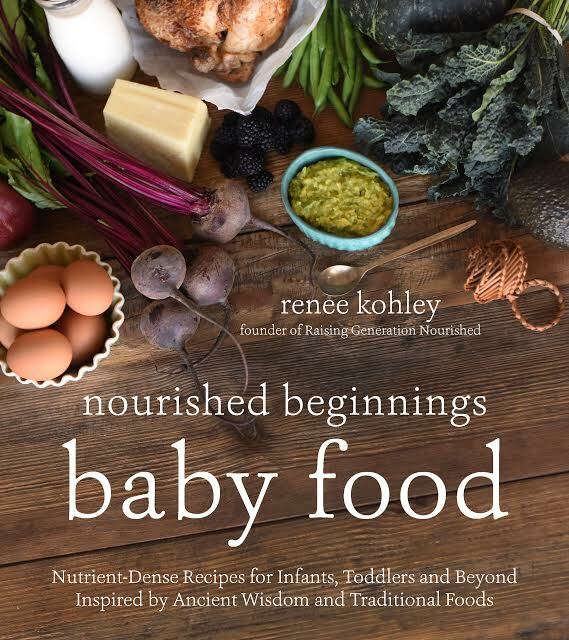 Because we all come from different stages of our real food journey. 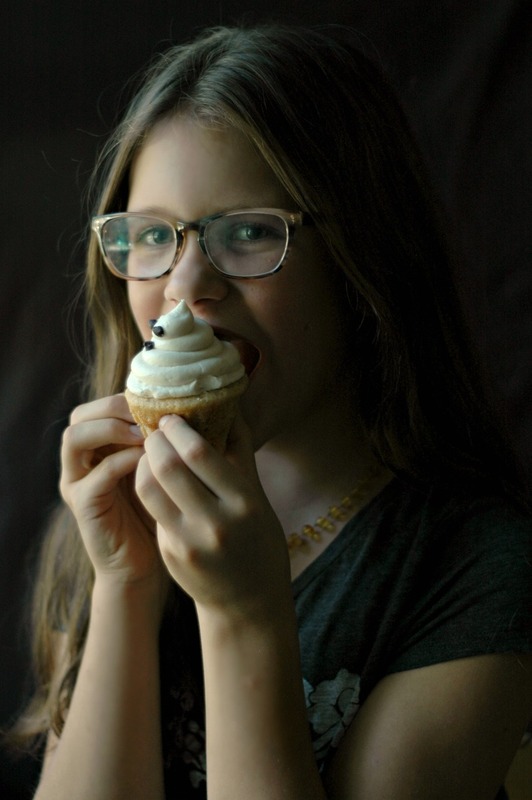 Some of us have true food allergies or health crisis situations where Halloween treats are going to have to take a back seat for a year or more. Others are literally on day 1 of trying to get processed food out of the house and just want to celebrate the way they always have. And yet others are pretty in between. Last year, I went out on the line and admitted that I’ve been the “lame” Halloween mom before that kept all the fun away simply to avoid the junk food. I’ve learned that honestly, kids just want to have a fun day to dress up and run around – in other words, be kids. And I would highly recommend hopping over to this post to learn about how I’ve made fun Halloween traditions for our kids that include some treats without compromising my standards on GMO’s, processed food, food dyes, etc. There is a really big difference here. When your little guys are tiny, they are not going to know any differently if they get a fun fruit parfait made of Halloween colors and a sticker, or they get a real cupcake. Keep them in that fruit parfait space as long as you can, but as your little guys turn into big kids, let’s turn it up a notch. Toddlers don’t understand that you can’t have cupcakes everyday of the year – and they will let you know that with their meltdown the next day when they can’t have another one. Big kids can comprehend this concept, and so letting them indulge in a fun treat like this on Halloween is so work the look on their face! Woot! 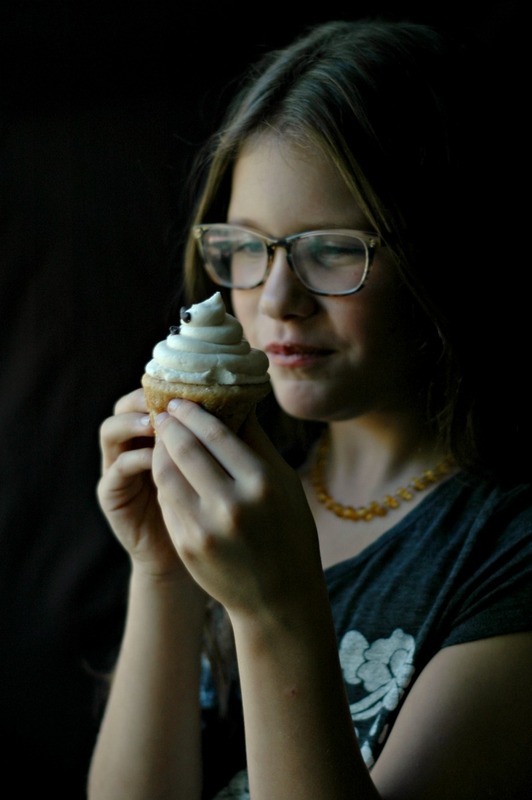 This cupcake recipe is one that I’ve been using for the girls’ birthdays for the last 2 years, and I’ve never blogged it! I did change up the flavors a bit to make them “fall flavored” with maple, but the texture and taste of these cupcakes is so out of this world, you’ll never go back. You can see how they turned out for my daughter’s Tinkerbell Party and Unicorn Party linked here. We also did Hatchimals Party for my youngest this August using it! 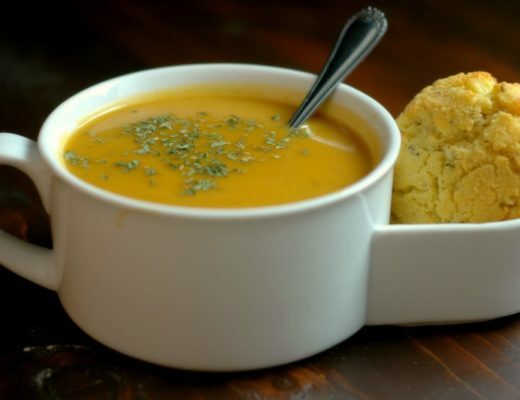 You won’t believe the texture even though they are gluten free. It also just so happens that palm shortening makes THE best frosting. While I still love me some buttercream, you really won’t miss the dairy when you try this palm shortening based frosting. Filled with friendly fats, and a gorgeous “ghostly white” color, they make the perfect goulish look for your Halloween night! 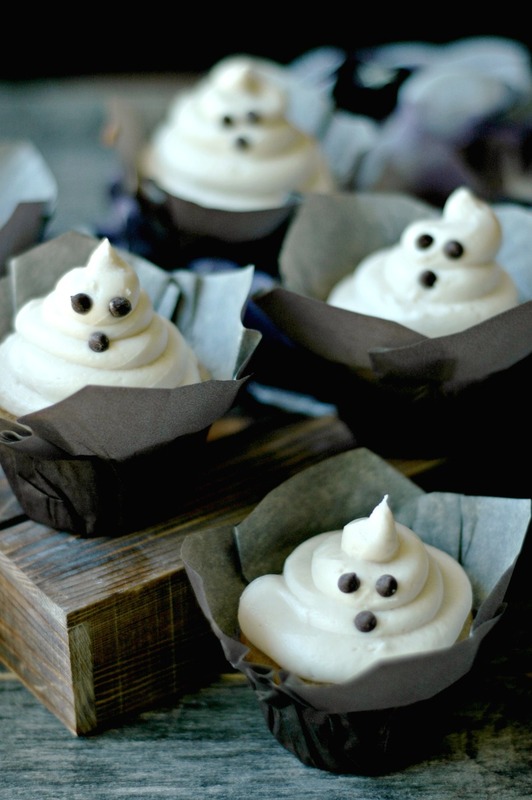 Other ideas for dressing up your cupcakes for Halloween! We LOVE these Halloween plant based natural food dyes – we made fun pumpkin shaped sugar cookies with the orange and black last year! You could color the frosting with the orange food dye, and then make the face with the black. If you use that same Halloween plant based natural food dye, you can split your frosting into orange, purple, and black and make swirl frosting on the top. Just put the 3 colors into the piping bag as separately as you can, and then as they come out of the tip, they will swirl together! You can see how my daughter’s Unicorn cupcakes for her birthday turned out using this technique here. You could make a “Candy Corn” frosting top using those same Halloween plant based natural food dyes. Just make divide the frosting into 3 bowls leaving one white, and coloring the other 2 with the orange and yellow. You can stack the frosting with 3 different piping bags to make a candy corn look. I thought the full-sized cupcakes with the frosting done like it is makes a huge cupcake for littles, or for a classroom party. For little guys, or classroom treats, I would highly recommend doing these cupcakes into mini cupcakes using a mini muffin pan! You can get the same cool parchment paper wrappers in the mini size too. I think you will have to pull the baking time down – maybe check them around the 10-15 minute mark. If you have really little guys at home, not only can you make them into mini cupcake form, you could also just spread the frosting and put the chocolate chips on top so the frosting isn’t piled so high. The big kids think that is pretty amazing, but little ones won’t know any differently! I’m pretty sure most gluten free flour blends will work to swap for the Namaste Gluten Free Flour Blend – I hear the Trader Joe’s brand is very similar to it. Be careful on the maple extracts – a lot of them have junky ingredients. 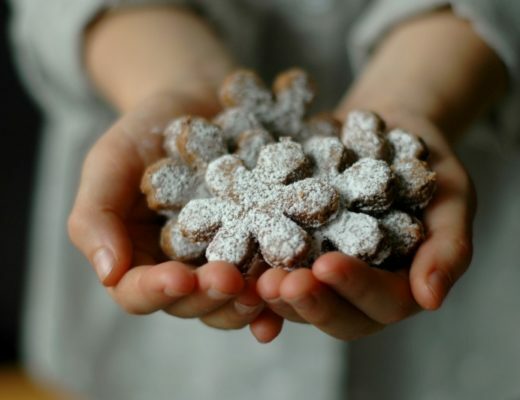 The one linked here is fine, or just use vanilla extract if you can’t find a good one. The maple syrup in the cupcake will make it taste like maple too. Butter can be swapped for the palm shortening in the frosting, but the frosting will not be as white to look like a ghost since butter is yellow. It does work though! 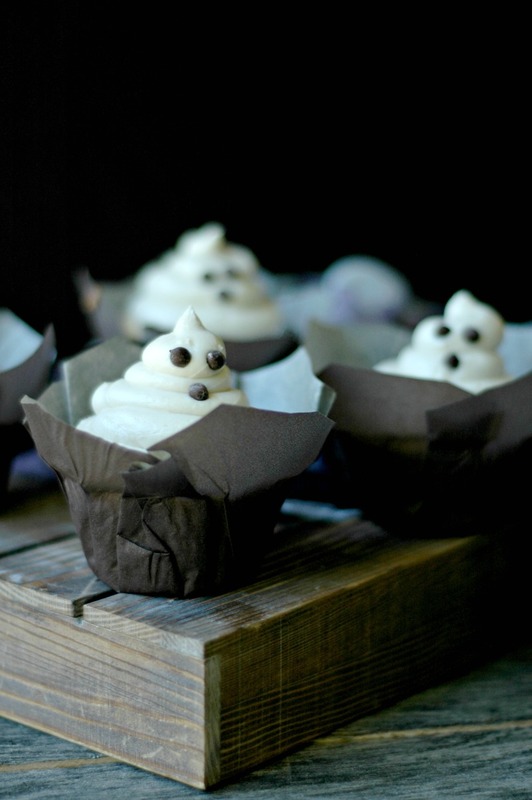 These gluten-free Halloween cupcakes will be the hit of Halloween night! 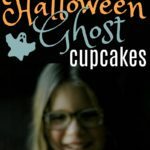 Make them ghost cupcake treats or other Halloween characters with these fun ideas! 3 tsp maple extract vanilla will work fine if that is all you have! 2 tsp maple extract vanilla will work fine too! Preheat oven to 350 degrees and line cupcake pan with parchment paper cupcake liners. 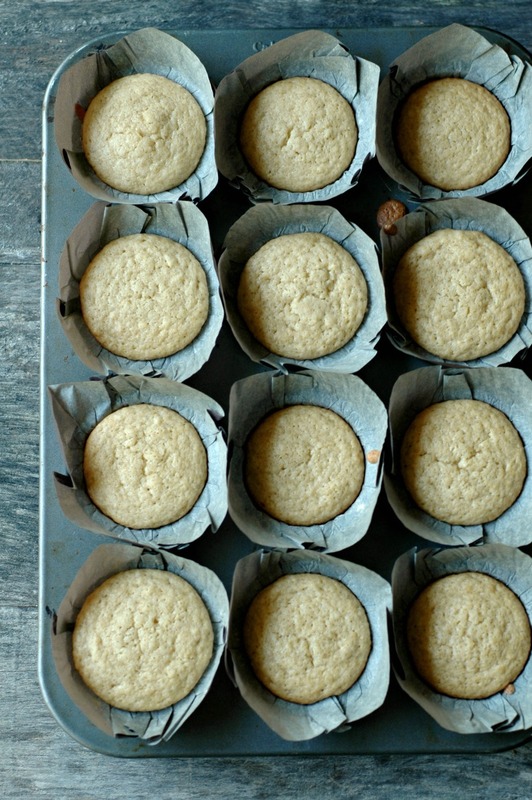 This recipe makes 12 cupcakes, but it does work doubled too, so you can double for 24. In a 4 cup Pyrex liquid measuring bowl OR in a medium mixing bowl combine oil, maple syrup, sugar, and eggs, and beat for 1 minute. 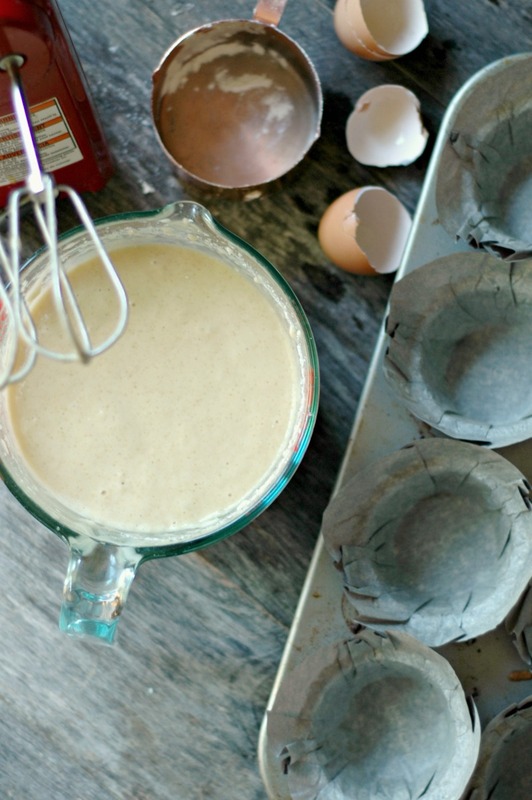 Add the rest of the ingredients for the cupcakes and mix with beaters until combined. Spoon the batter into cupcake liners, and bake for 20-22 minutes – the cupcake should “spring” back when you touch it, and a toothpick will come out clean. Check the cupcakes at the 18 minute mark just in case our ovens run differently. Let the cupcakes cool completely before frosting. When you are ready to frost, blend the frosting ingredients in a small mixing bowl, and fill your piping bag, and frost your cupcakes. Use the mini chocolate chips for the ghost eyes and mouth! 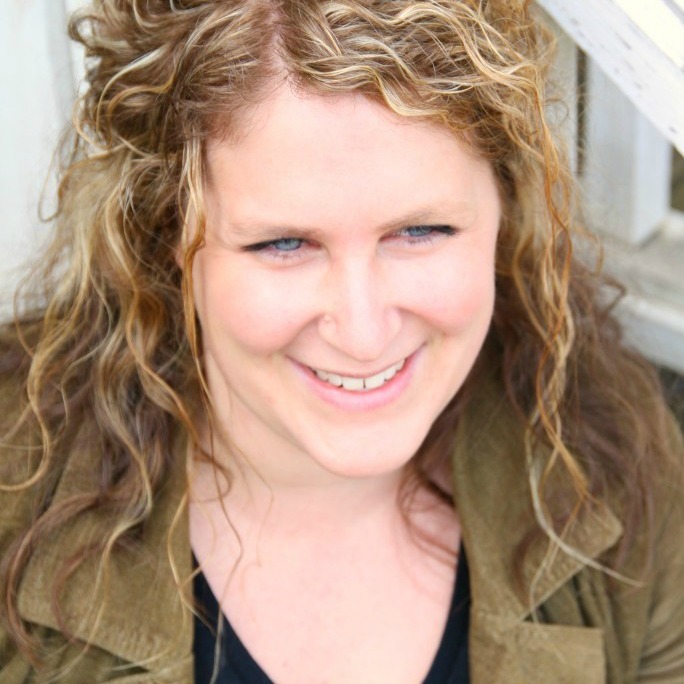 Halloween Tips for Crunchy Moms! Trick or Treating, Classroom, and Family Tradition Ideas! These are so adorable and perfect!!! I had to show them to the girls, Tiny Love’s eyes got so big when she saw them. That frosting is everything! So special for Halloween! These are adorable! My husbands birthday is on Halloween and these would be perfect for him! It’s been so sweet to watch your girls grow up through your photography. 🙂 And these cupcakes are ADORABLE! I get that you wrote this recipe for kids, but uh, I want one! These are adorable. I love that you give tips for various ages. Great idea. 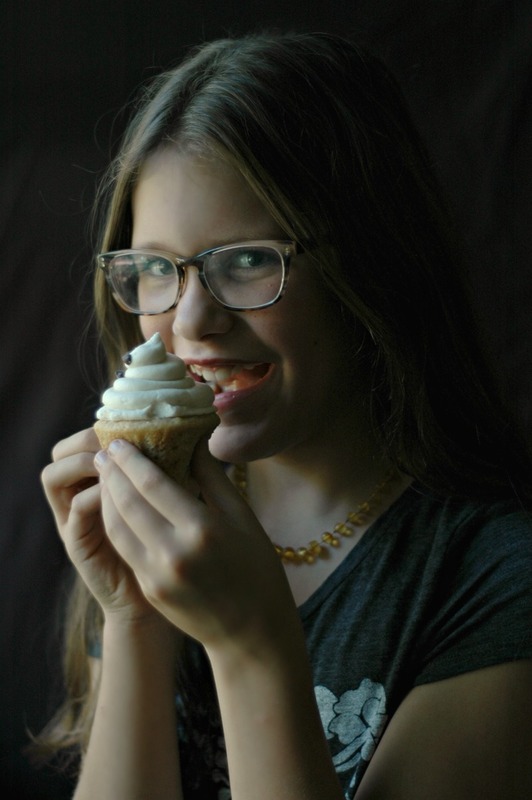 Aw, so sweet to see your blog growing up to tween treats as your littles get older. These cupcakes are perfect. And I love the Halloween theme for how “scary” being a mom can be sometimes. 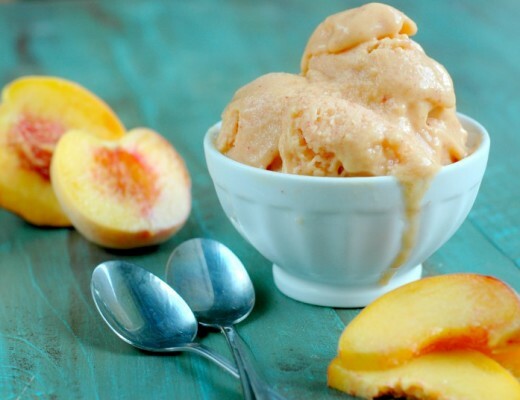 Such a lovely post and recipe Renee!! These are so fun, just love the cuteness factor, plus they look like they taste amazing! What an adorable idea! I love that frosting and I may need to make this for a Halloween party! Omg these are so cute! 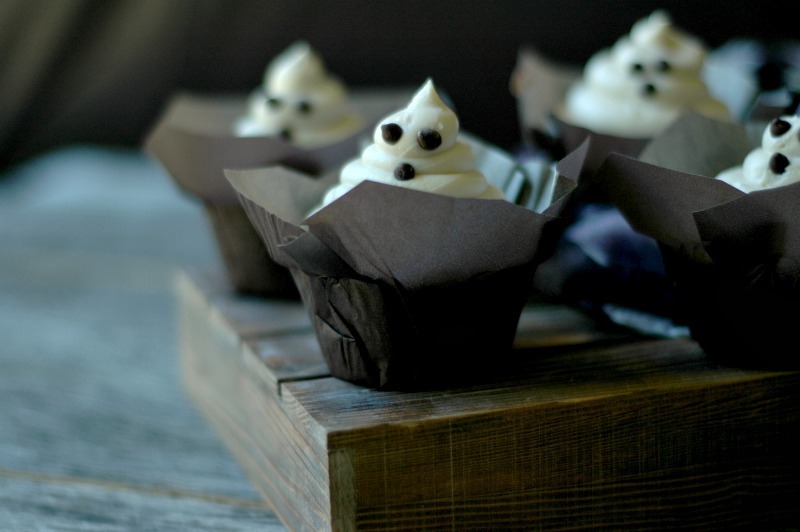 With the fancy cupcake liners these are sophisticated looking and perfect for an adult halloween party too! Also, your daughter is beautiful!! The maple flavor…love! these are so darn cute! And made with real ingredients, love it! These are so fun! I love that they’re gluten-free and dairy-free. Perfect for a school Halloween party! This is such a sweet post. My little one is almost 3, but I’m looking forward to when he turns 9 😉 I love reading posts like these that make me appreciate the little bits in parenting. OMG! These are adorable!! SO so so cute ! Now I know if I make these my ghosts won’t be as ghostly as yours but I have to try! You make this look so easy and I can tell that these will be gobbled up in seconds!